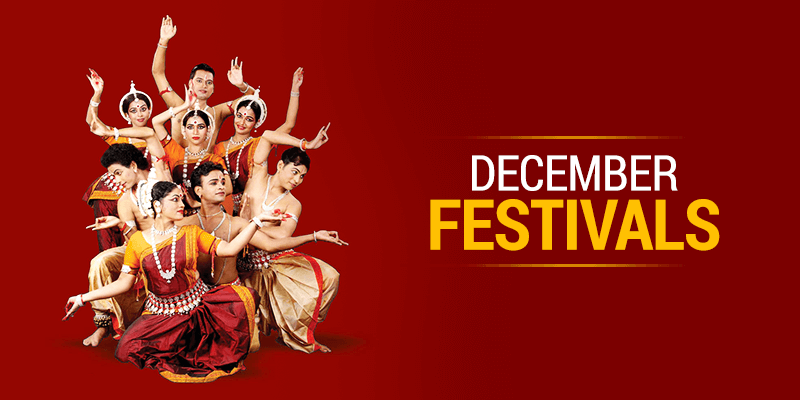 Home Festival & Events 8 December festivals in India that you must not give a miss! 8 December festivals in India that you must not give a miss! In a country as diverse as India, it is an eclectic mix of traditional and modern festivals. The final wintry month of the year has just begun and before we start making preparations to welcome the new year, here we are with what’s on with December in India. The annual Hornbill Festival held in Nagaland is regarded as the biggest cultural celebration of the region. 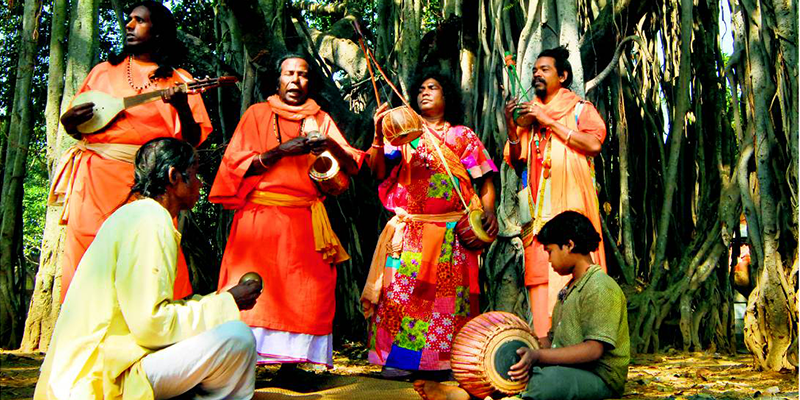 It is an amalgamation of culture, heritage, folklore, music, lifestyle and surroundings. The festival had initially started as a celebration of Nagaland Day( December 1, 1963 ). These 10 nights of Hornbill Festival, illuminates the streets of Kohima and forms a carnival-like atmosphere. There is plenty of action happening all around – from cultural to sports events ( chilli tasting, Miss Nagaland, Car Rally ), from shopping venues to quality food joints Bamboo steamed fish, eel chilli sauce. 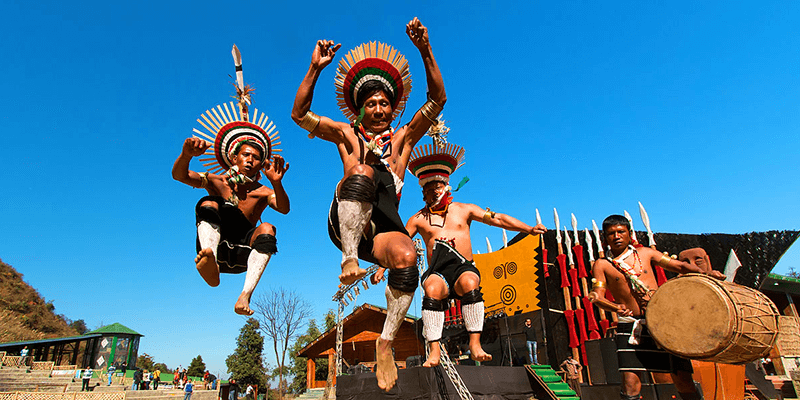 The festival is marked with performances by 17 indigenous warrior tribes of Nagaland along with the folk music performance by Tetseo sisters. 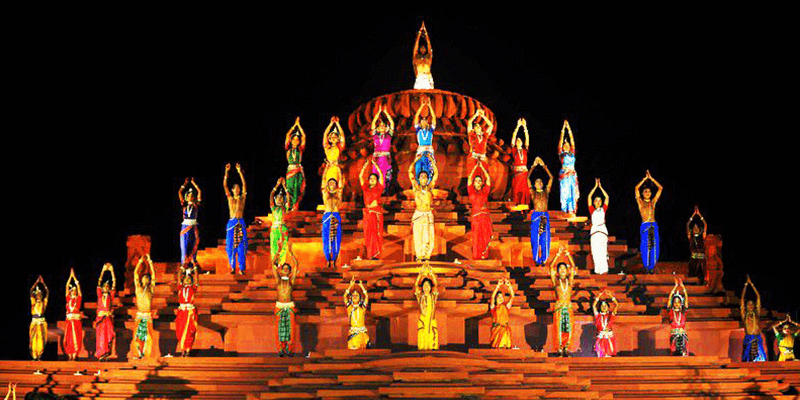 This popular dance festival is celebrated against the backdrop of the famous Sun Temple in Konark. The Konark Dance and Music Festival bring together artists to showcase and popularise the classical, folk and tribal dance & music of India. The festival was initiated in 1986 by Padmashree Guru Gangadhar Pradhan, an internationally renowned Odissi dance guru and marginal player. The Konark Dance and Music Festival are organised at the open air auditorium of the Konark Natya Mandap, which is a replica of the 700-year-old Konark Sun Temple. The festival is a cultural treat with distinguished dance performances by experts of Odissi, Mohiniattam, Kathak, Bharatanatyam, Kuchipudi, Manipuri, Chhau and even some local, lesser-known dance forms. It also hosts the recitals from reputed music gharanas (including the Agra Gharana and the Gwalior Gharana). 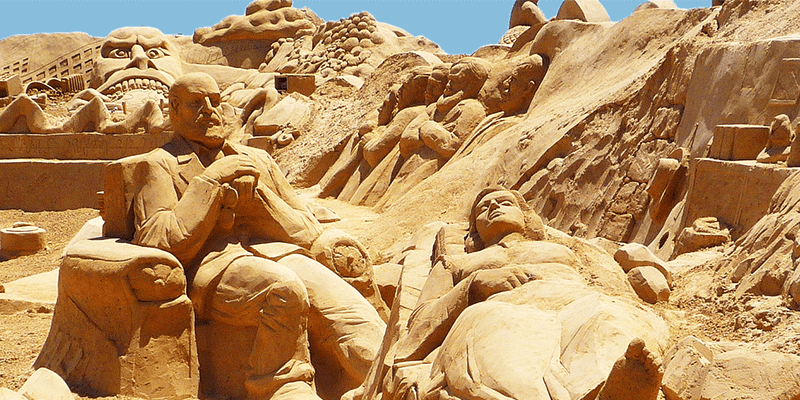 The International Sand Art Festival celebrates the spectacular display of sand sculptures made by the sand artists from across India and many other countries. It is a part of the Konark Dance Festival, and due to its proximity to the Sun Temple, both these events have tourists crowding from all over the world. Skilled sculptors bring to life the soft golden sands at the beach. Wood, stone, bronze and other attractions are added to the exhibition. Famous sand artist Sudarsan Pattnaik, the Padma Shree award winner, is the brand ambassador of the event. This year, best sand artists from Mexico, Spain, Singapore, France, Norway, Germany, Netherland & USA are participating in the event plus 20 artists are from different states of India. The cut-throat competition between participants is definitely a sight to watch. Maharishi Debendranath Tagore, the father of Rabindranath Tagore, embraced the new faith on 7th Poush (as per the Bengali calendar), which generally falls on December 23 every year. As a memorabilia of this occasion, he started the Poush Mela, where the young artists would meet with the local people and exchange their ideas. What started as the celebration of a new social movement has now become fair for exhibiting the art and handicraft skills of Bengal’s local artisans. Lots of famous artists exhibit their talent on the fairground stage. Some of the spectacular performances include Bauls, Jatras, Leto and Chhau dance. The shopper in you will be spoilt for choices in this fair. From paintings, metal sculptures, Dokra items, traditional sculptures, handmade ornaments to handmade embroidery clothes – you can shop here to your heart’s content. The open-air India Dance Festival is held against a background of rock sculptures in the beach town of Mamallapuram (Mahabalipuram ), just south of Chennai. 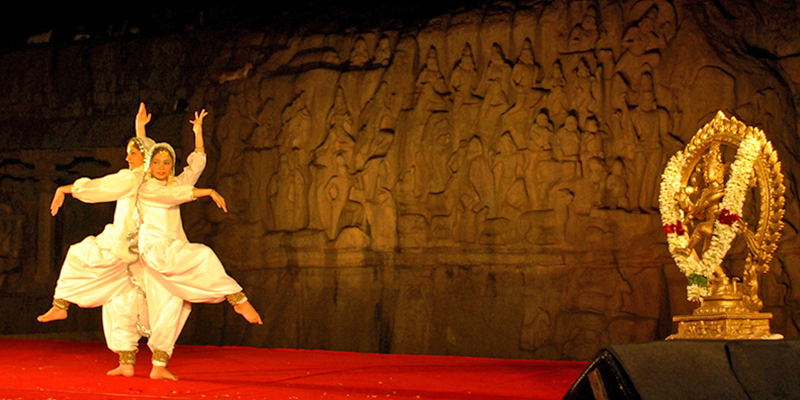 It runs for a month and showcases a range of classical and folk dances from all over India. What makes the festival even more interesting is that here you not only get to see the traditional Indian dance performances but also some rare folk dance form such as Karagam, Kavadi, Silambattam and Kokkali Attam. The complete Indian classical dance fraternity descends on Mamallapuram ( Mahabalipuram) to see a glimpse of ancient Hindu culture and their traditions in the form of captivating performances. Over this four-week cultural extravaganza, two performances are staged every night, for free. Note: Until a couple of years back, the illuminated Arjuna Penance ( a UNESCO World Heritage site) provided a magnificent backdrop to the festival. However, now, the venue has been shifted to the Shore Temple. 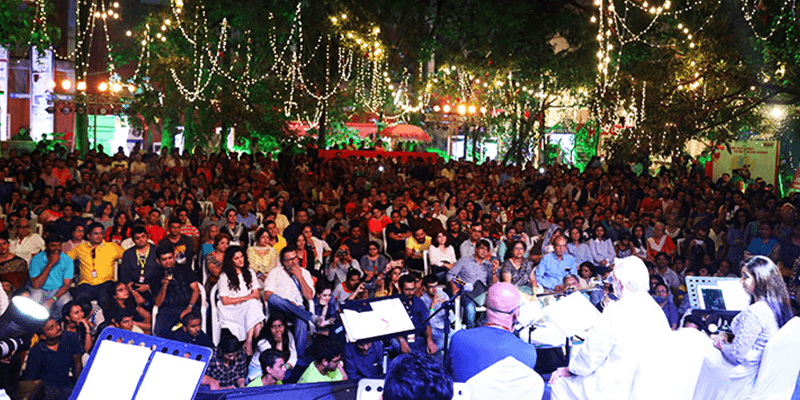 Times Literature Festival in Mumbai is back with a bang this year. The 7th edition of TLF is a festival of books and ideas which shall be showcased with the help of panel discussions, talks, keynote addresses and performances. The theme for this year is – All the World’s A Story, featuring those from a range of spheres, economics to ecology, films to food, and literature. This edition of Litfest will showcase newer platforms of storytelling, including VR, AR and podcasts. The Times Litfest has enchanted Mumbai with its rainbow offering: the best minds from India and abroad, incandescent discussions, OMG moments, interactive sessions, great entertainment. NOTE: Dates and the venue are tentative. Kindly check before planning a visit. 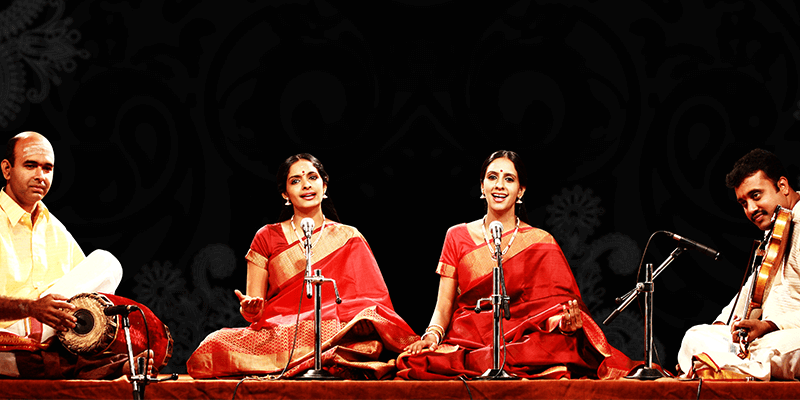 Often described as the World’s largest cultural event, the Madras Music Season offers a plenty of South Indian Carnatic music, dance and other performing art, on the stage. More than 1000 performances take place, along with seminars and discussions. Have plans for the last week of December? Well, cancel them! Put on your dancing shoes and head straight to Pune’s biggest party festival of the year! Yes, the big Sunburn festival is back again and all the EDM music lovers would surely not want to miss this. Sunburn is India’s legendary electronic music festival and having celebrated its tenth-anniversary last year, the festival returns once again. It will include performances from some of the biggest names like Martin Garrix, DJ Snake, Dimitri Vegas and Nucleya. 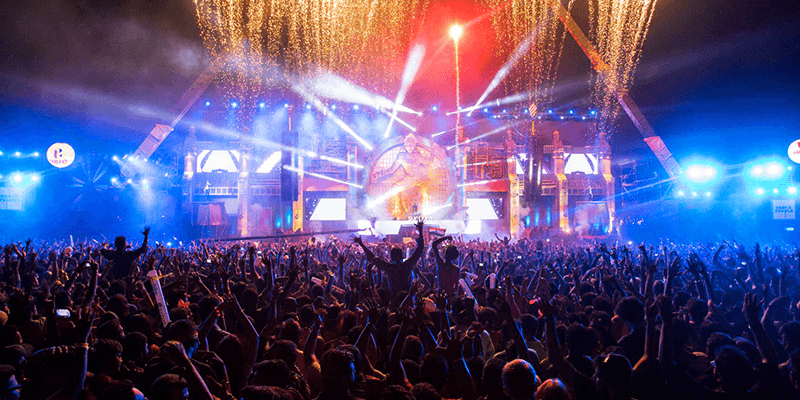 The festival is also renowned for its fantastically eye-catching production, with the staging, lighting, visuals and pyrotechnics all adding to the overall experience of India’s biggest and best dance music extravaganza.